Tamanu Oil – Tamanu is one of the least used but most beneficial oils in nature. The oil is pressed from the nuts of the Tamanu tree (scientifically called Calophyllum inophyllum) and originated in Polynesia where it continues to play an important cultural role. Throughout time, this oil has been used in beauty routines, and additionally in healing and external health. It is a secret that’s been forgotten, but the benefits of tamanu oil are slowly being realized again and are trending worldwide. The Tamanu tree enjoys balmy, rainy weather and has found a perfect home in the South Pacific. The tree is an evergreen that blooms bi-annually and produces a green fruit containing a nut. Inside the nut is a kernel that is cold pressed to extract the oil. For centuries, the people of the South Pacific and Malaysia have used this oil in their healing rituals. In the early 1900s, the French started using it in pharmacology products. It was used in the treatment of leprosy in the 1930s by a missionary, who found that it not only treated the lesions, but also calmed the sufferers. There are several recorded events that credit Tamanu oil as the main source of healing serious skin issues. Tamanu oil holds a unique process called cicatrization. Cicatrization is the process known as “wound healing.” Because it possesses the unique process of cicatrization, the oil has the capacity to encourage the generation of new tissue, accelerate wound healing and stimulate the growth of healthy skin cells. In the 1980’s, the cosmetic industry discovered the amazing benefits of Tamanu and has started using it in various skincare products. The antibacterial, anti-inflammatory and antimicrobial properties of this oil are going to give your skin some ultra-healing powers to fight off acne, reduce the appearance of stretch marks, age spots, eczema, psoriasis and even reduce bumps and rash due to razor burn. With its anti-oxidant properties, tamanu is quickly absorbed by the skin and promotes moisture and re-growth. Apply it anywhere you have dried or flaking skin such as elbows, feet or face. Unlike many other oils, Tamanu oil can be used alone but also mixes well in other products. TrūIQ® has sourced the best possible Tamanu for our line of oils and skin care. We are providing it individually so that it can be applied undiluted or placed in any of the Bellá Allume products. We are bringing the secret of Polynesian beauty to those who want to create their beauty, their way. Because it possesses the unique process of cicatrization, the oil has the capacity to encourage the generation of new tissue, accelerate wound healing and stimulate the growth of healthy skin cells. The antibacterial, anti-inflammatory and antimicrobial properties of this oil are going to give your skin some ultra-healing powers to fight off acne, reduce the appearance of stretch marks, age spots, eczema, psoriasis and even reduce bumps and rash due to razor burn. 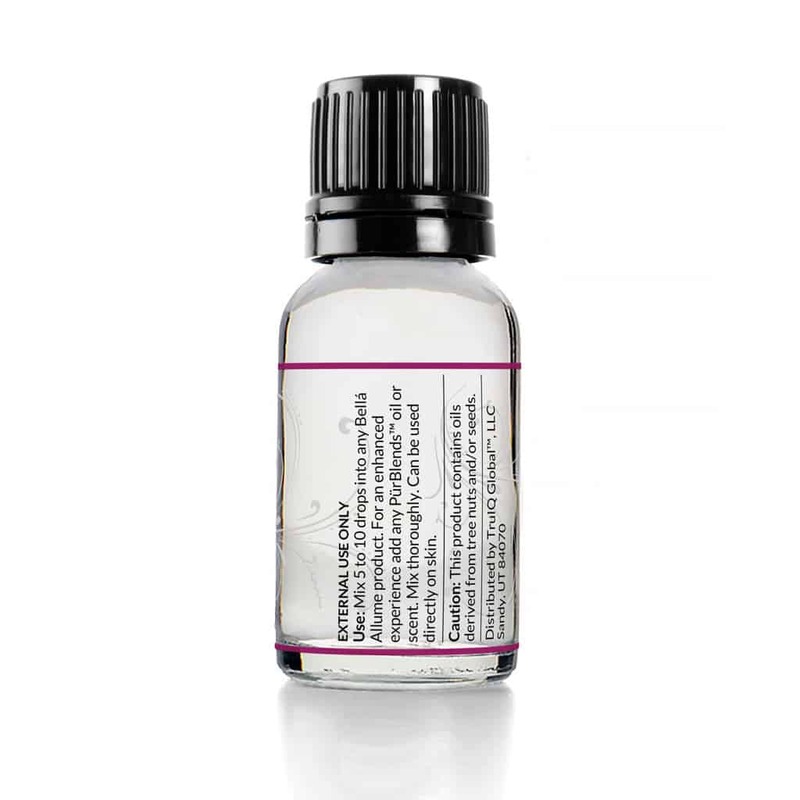 Topical: Use alone or blend with any of our essential oils and/or Bella Allume products and apply to skin as desired.